For severely obese people with type 2 diabetes, weight-loss surgery reduces the risk of having a heart attack or stroke by almost 40 percent over the course of five years when compared to standard diabetes treatment, according to a study published recently in the Journal of the American Medical Association (JAMA). The study also found that people who had the surgery were 67 percent less likely to die from any cause during the five years after their surgery. Because it was observational, the study can't prove that the surgery was the direct cause of those better health outcomes. Still, the findings suggest, say the study's authors, that weight-loss surgery should be part of the discussion that severely obese patients with diabetes have with their doctors about treatment options for their diabetes. "I was not surprised by the improvements in the heart attack and stroke, but I was pretty astonished at the magnitude of the drop in the mortality rate," said Dr. Patrick O'Connor, assistant director of the Minnesota-based HealthPartners Institute and one of the study's authors, in an interview with MinnPost. "It's very difficult to find that big a decrease in mortality from anything," he added. Why it matters About 30 million people in the United States — more than 9 percent of the country's adults — have type 2 diabetes, according to the Centers for Disease Control and Prevention(CDC). The high blood glucose levels associated with diabetes can, over time, damage blood vessels, as well as the nerves that control blood vessels and the heart. That's why people with diabetes are almost twice as likely to die from complications from cardiovascular disease, including heart attacks and stroke, than people without the disease. Obesity is a major risk factor for type 2 diabetes, and about 1 in 3 people with the disease are severely obese, which means they have a body mass index (BMI) of at least 35. People who are severely obese are eligible for bariatric surgery, which helps people lose weight by changing the digestive system in ways that limit the amount of food that can be eaten and/or absorbed by the body. Previous research — by the same group of researchers as the current JAMA study — has shown that about half the people with type 2 diabetes who undergo gastric bypass surgery, one of the most common bariatric procedures, experience a remission of their diabetes for an average of seven years. The researchers have also reported that people with diabetes who undergo bariatric surgery are about half as likely to develop small blood vessel diseases of the feet, hands, kidneys and eyes within the first five years after surgery as those who receive standard treatments for the disease. What wasn't known, however, was whether bariatric surgery was also associated with a reduced risk of major coronary artery diseases, such as heart attack and stroke. The current study was undertaken to try to fill that research gap. Study details For the study, O'Connor and his colleagues examined five years of medical records for 5,301 severely obese patients with type 2 diabetes who had undergone bariatric surgery between 2005 and 2011. The patients had received the surgery through three Kaiser Permanente health care systems in Washington state and California or through the HealthPartners system here in Minnesota. Each of the surgery patients was matched with up to three patients with similar characteristics (including gender, age and blood glucose levels) who received usual care for their weight and diabetes instead of surgery. In total, the study included 20,235 patients, of whom 938 were in Minnesota. Their ages ranged from 19 to 79 (mean age: 50), and their mean BMI was 44.7. Three-quarters of the patients in both the surgical and nonsurgical groups were women. By the end of the five-year study period, 2.1 percent of the people in the surgical group had experienced a heart attack or stroke compared to 4.3 percent of those in the nonsurgical group. The drop in risk was particularly strong for heart attacks. The study also found that the rate of death from all causes was significantly lower at five years among the patients who had undergone surgery (1.3 percent) than among those who received regular care (4.5 percent). "These findings have strong biological plausibility and are consistent with other research," O'Connor and his colleagues write. "Randomized trials have demonstrated that bariatric procedures are more effective than the best available intensive medical and lifestyle interventions in promoting weight loss, improving [blood glucose] control and [blood lipid] levels and reducing the need for medications used to control diabetes, hypertension, and dyslipidemia." Important caveats Again, this study was observational, which means its findings can show only a correlation, not a direct causal relationship, between bariatric surgery and improved cardiovascular outcomes. Randomized controlled trials would be needed to confirm the results. Another limitation of the study is that most of the surgery patients had a type of bariatric procedure known as gastric bypass (or Roux-en-Y bypass). Only 17 percent underwent sleeve gastrectomy, which is less invasive — and done much more often — today. It's unclear whether the benefits observed primarily with gastric bypass patients in this study would also apply to those who have sleeve gastrectomies. "Still, I think we're pretty comfortable in statistically also saying that there are substantive benefits to sleeve gastrectomies as well," said O'Connor. In addition, many people who undergo bariatric surgery eventually regain a significant amount of the pounds they shed immediately after the procedure. In another study, published in the same issue of JAMA, researchers found that about 67 percent of patients who underwent bariatric surgery regained within five years at least 20 percent of the maximum amount of weight they had originally lost. But, as O'Connor pointed out, keeping the weight off for several years can help delay the start of diabetes-related complications. "It's years free of the clock ticking, and that's a huge incentive," he said. Often a matter of cost In 2016, the American Diabetes Association officially began to recommend bariatric surgery as a treatment for type 2 diabetes for certain severely obese patients with the disease. Yet, even with that recommendation, the surgery — which can cost up to $35,000 — has not gained wide acceptance as a treatment for the disease. In a commentary accompanying the JAMA study, three University of Minnesota surgeons, Drs. Adam Sheka, Keith Worth and Sayeed Ikramuddin, note that "access to bariatric surgery is limited by stringent private insurance requirements, lack of Medicaid coverage in some states, and high out-of-pocket costs." 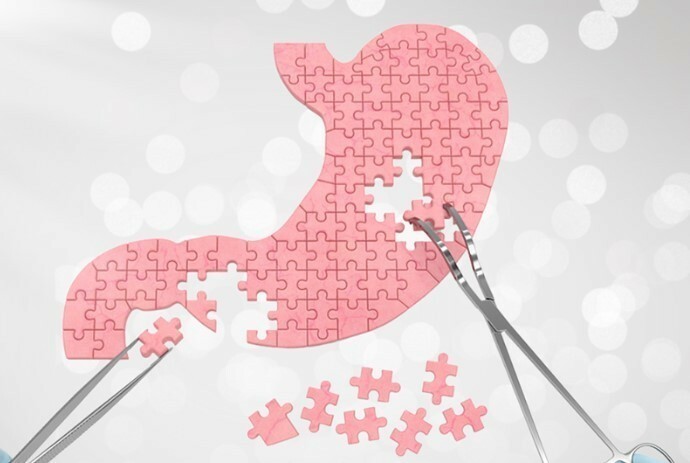 "Given the benefits of bariatric surgery for patients with type 2 diabetes, including potentially greater long-term benefits than most pharmaceuticals, insurance coverage for weight loss operations should be expanded for appropriate patients," they urge.